I love this! I want one for my Kelly girl! 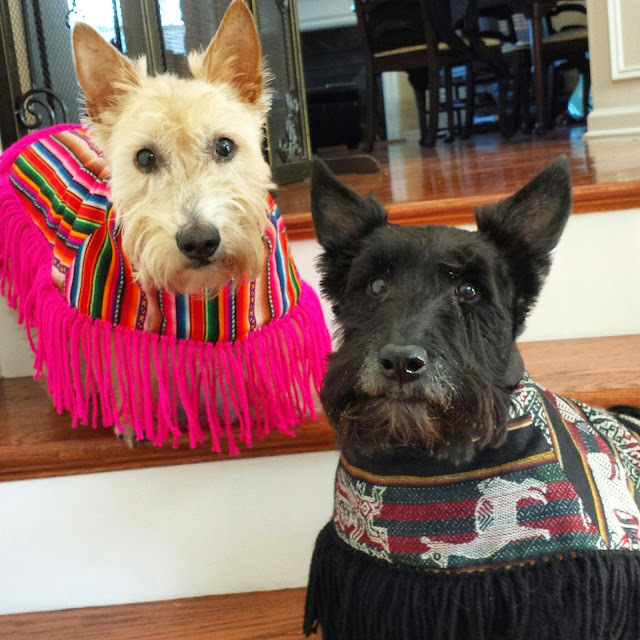 They look great in their beautiful ponchos! Love it! Goodness, Mr. K. & Heather you both look dawgone spectacular! 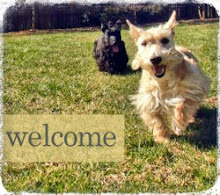 What lucky Scotties you are to get such beautiful, thoughtful gifts like that! We just came back from our walk and it's about 7 degrees tonight. My Mom Peep bought me wool sweaters with turtlenecks to wear. She says I look like a handsome devil. Actually I'd look in anything I wear. OMD! I never thought about ponchos for dogs. I love the fringe for these two because it looks like it's another layer for their Scottie skirts! Stay warm! 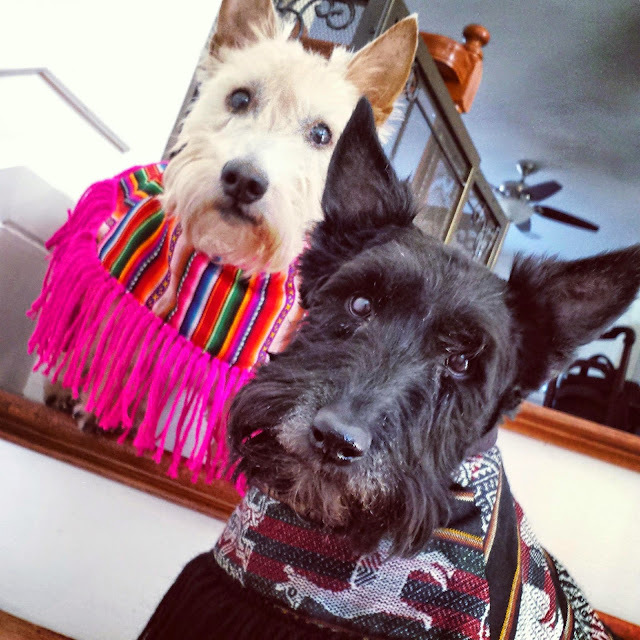 The Scotties look adorable in their ponchos. It makes me want to adopt a little dog. Oh my gosh I LOVE these! Especially that pink one. I don't care, I won't wear clothes. That's it and that's final. I am NOT stubborn. Love the pink poncho! Two paws up Heather!!! wow, they are fabulous!! 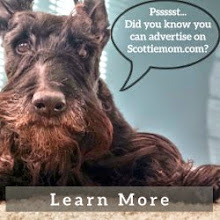 my Scottie, Ollie, would love one - or rather I would love him to have one!! I think he would react like Mr K and try and get it off!!! shame she doesnt supply these pinchos - I am sure there would be a market for them!?? Dudes you look fabulous and they came all the way from Peru. Nice one and we know they will keep you warm should the weather get cold again. Love them. He might rip Heather's off, too. They are so cute. But we can't move when we wear clothes. Luckily it doesn't get cold enough here for clothes. Oh Heather and Mr K, you both look fabulous in your ponchos. What a lovely gift and you seem so proud showing them off in your beautiful photos! Far too much cute! If these two Scotties don't look adorable in these ponchos, then I don't know what else will. They be stylin' and workin' those ponchos. 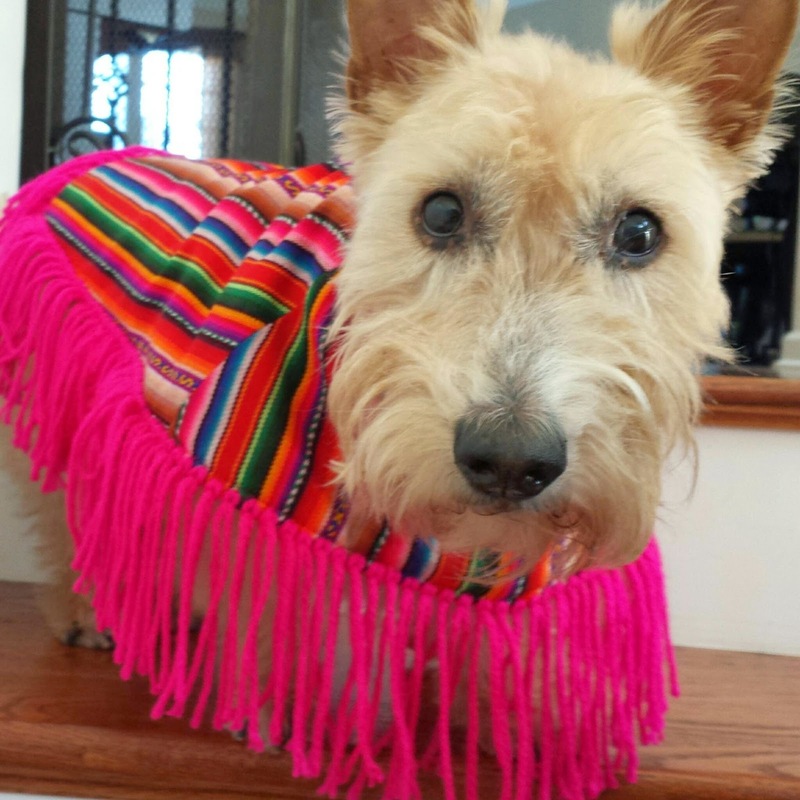 Oh goodness, love them ponchos. Hey you need to sent over to Enid the picture for her dress up contest tonight! I absolutely love Heather's poncho she looks adorable.